Snap up these amazing pen display discounts while they last. 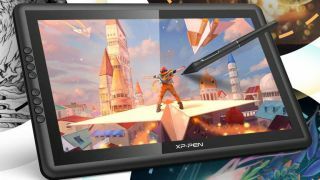 Digital artists on the look out for a discount pen display or drawing tablet are in luck: these XP-Pen Black Friday and Cyber Monday deals slash up to 30% off the popular XP-Pen graphic drawing tablets. Bargain. If you're not familiar with XP-Pen, the Japanese graphics tablet company has been developing pro drawing products since 2005. The company offers a decent budget alternative to more expensive Wacom options. With these discounts, there's no better time to pick up an XP-Pen device. Listed below are the offers that really caught our eye, but there are plenty more digital art discounts over on Amazon already. But remember: the devices we've listed below are reduced for today only, from 06:20 BST, so if you want to cash in on these lightning deals, make sure you do before 12:20 BST. And you might want to hurry, with up to 29% knocked off, we don't expect stocks to last long.